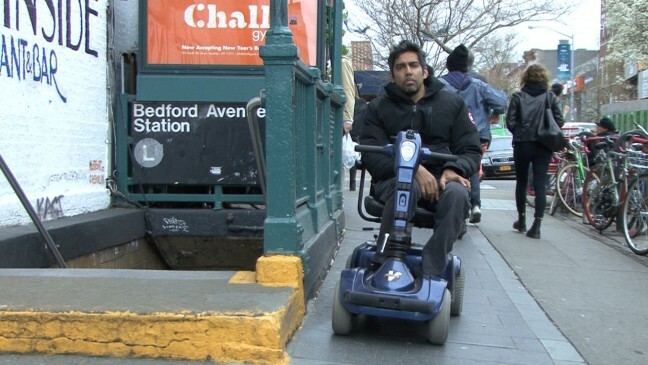 "When We Walk," by award-winning filmmaker Jason DaSilva. 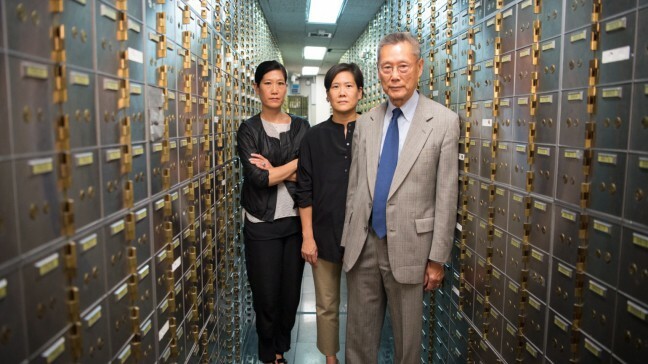 For the past 36 years, the Center for Asian American Media has curated, created and supported extraordinary documentaries and independent filmmakers through stories intended for public broadcast and public media. We have awarded nearly $5 million to over 300 projects by and about Asian Americans. 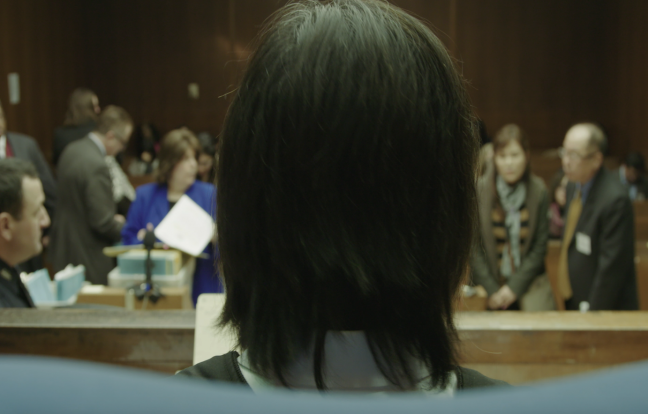 IMITATION OF CHOICE is the story of an innovative human trafficking court, the compassionate 53-year-old Japanese-American judge who runs it, and the women who pass through its doors every day. Arrested in police raids for prostitution-related offenses, the women in Judge Toko Serita’s court are presented with three options: plead guilty to a criminal offense, fight the charge, or take the state’s offer to attend a handful of counseling sessions and get their record wiped clean. Through raw and intimate cinéma vérité storytelling, IMITATION OF CHOICE invites audiences to witness the growing pains of this emerging court, and explores how we define trafficking and prostitution from the perspectives of the criminal justice system, the social welfare system, and, most importantly, the women and girls who are at the center of it all. 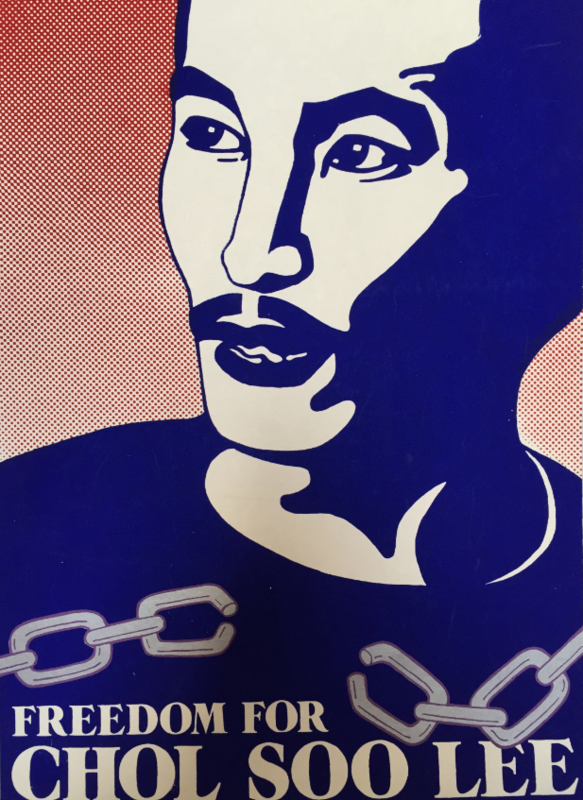 FREE CHOL SOO LEE tells the gripping tale of a young Korean death row inmate wrongfully convicted of a 1973 Chinatown gangland murder in San Francisco, and the activists who led a pan-Asian American movement to free him. Spanning six years, from the late 1970s to the early ’80s, this movement would for the first time bring together young, third-generation Asian American activists — many of them politically radical — with older, conservative Korean immigrants, as they rally to help this stranger, Chol Soo Lee, a penniless street drifter. Their remarkable victory, with Lee walking into freedom in 1983 after 10 years in prison, would solidify a nascent Asian American community identity and inspire many young supporters to pursue careers dedicated to social justice. But, as the person these activists saw as hero and political prisoner devolves into a world of drug addiction and criminality once free, they find themselves struggling to answer, “Who is Chol Soo Lee?” The film will explore the complex legacy of this landmark yet largely forgotten Asian American social movement, and how Lee and his supporters would intimately shape each other’s lives, during his imprisonment and long after his release. Feature length film with hourlong TV version. TRY HARDER (working-title) is a feature documentary about San Francisco’s iconic Lowell High, a rigorous, “college-preparatory” public school, where admission is competitive and merit-based and the student body is 70% Asian American. The film follows seniors who hope to see their grueling four-year high school journey culminate in admission to the college of their dreams, all the while knowing the odds are stacked squarely against them. In the wake of a lawsuit alleging Harvard discriminates against Asian applicants and amidst a national crisis in college admissions that is causing some educators to rethink the value of high school – will their hard work pay off? And what are the positive and negative effects of competition on character, identity and success in school? Through diverse perspectives of Asian, white, and black students at Lowell, TRY HARDER explores equity in education from a perspective that goes beyond the traditional black and white racial lens. In a school community where immigrant Asian Americans are the norm, it tells a story of how Asian American culture has impacted the American educational paradigm. Over the course of one school year intimately captured on film, TRY HARDER ultimately offers not only an in-depth analysis of teenage mental health but also a first-hand account of Asian American youth on the cusp of young adulthood living in the pressurized world of today. THE REGISTRY breaks open the hidden history of the US Armyʼs Military Intelligence Service (MIS) during World War II – a story made possible because of a few aging veterans with a little Internet savvy and a lot of determination. Octogenarian Seiki Oshiro grew up in Hawaii, but heʼs a Minnesotan now. Heʼs got bad knees and doesnʼt get out much anymore, but keeps up with his friends on his computer. 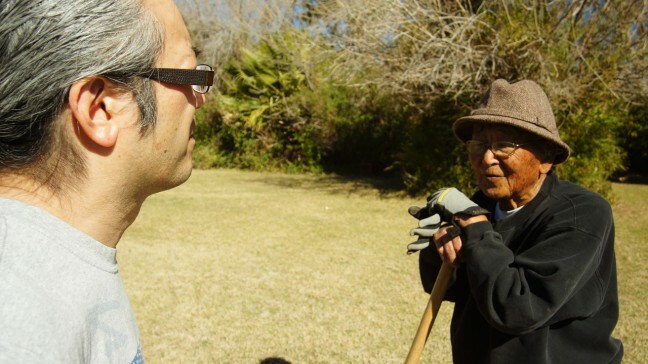 Grant Ichikawa is 92. Born in California, he volunteered for the Army to get out of a Japanese American internment camp in the Arizona desert. After a storied career as a CIA officer heʼs now retired in the Washington DC area. Heʼs one of Oshiroʼs closest friends, though theyʼve never met. They correspond via the Internet. Both joined a secret unit called the Military Intelligence Service during World War II. Years later, hundreds of miles apart, they both wondered what had happened to the unitʼs over 7,000 soldiers? Where did they end up? Oshiro and Ichikawa forged their mission with a third partner, Paul Tani. Digging through archives and searching the Internet, they painstakingly created the first comprehensive record, a registry of the men and women who served in this mysterious, forgotten Army unit based in Minnesota that most Americans know nothing about. Tani died two years ago but Oshiro and Ichikawa carry on, keeping the story alive for new generations. Thereʼs no doubt the 7,000 soldiers of the Military Intelligence Service helped shorten World War II by as much as two years. They were fluent in Japanese. They were interrogators, interpreters and linguists. But who were they? There was no complete list. With documents classified and buried in government vaults for so many decades, historians struggled to tell the MIS story. As long as I can remember, everyone in the Arab American neighborhood where I grew up believed that we were all under surveillance, so I decided to make a film to discover why. In the process, I uncovered records that the FBI field office in Chicago opened a criminal investigation code-named “Operation Vulgar Betrayal” in the mid-1990’s. It was the largest domestic terrorism investigation conducted before 9/11 – and it was focused on my neighborhood. I also found out that similar investigations were happening in Muslim American communities across the country. 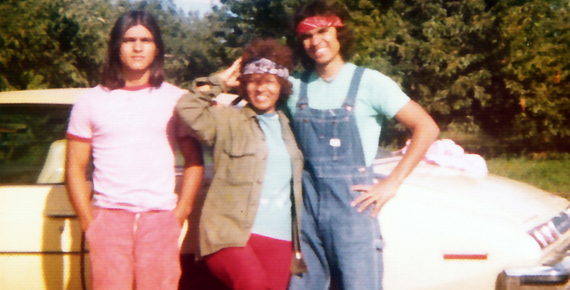 This film takes an unprecedented look inside the life of a community that was being watched and pieces together the truth of what happened by weaving memories and experiences of my family and neighbors under surveillance; interviews with informants and FBI agents; and declassified government documents that chronicle the secret terrorism investigation the FBI was conducting. By cinematically weaving the personal and the political – which are often polarized versions of the same story – I hope to capture a profound truth about the “war on terror”: it impacts our sense of self, our ability to create and connect, our right to dissent, and our collective democracy. WHEN WE WALK uses my own point of view. I am putting myself on screen to act as the tour guide for the audience. This technique is referred to as the participatory style of documentary filmmaking, popularized by filmmakers such as Michael Moore and Morgan Spurlock. However, rarely is it done from the perspective of a young person with a disability and, even more rarely, is that combined in a person with an attitude and a Hunter S. Thompson-esque dry, belligerent sense of humor, which is evident in self-interviews. Structure: To reiterate, the film is divided into a traditional three-act structure, with the second act split into two. In the first act, the hero finds a new world, in the second act, he moves from being a wanderer to becoming a warrior, and in the third act he attempts to slay the dragon. NOTHING LEFT TO LOSE tells the story of approximately 100 Vietnamese refugees who lived in hiding in Thailand for twenty five years hoping to one day reclaim the dignity of a recognized person. At last, through the tireless efforts of the Vietnamese community overseas, these stateless begin to reemerge with hope toward freedom. 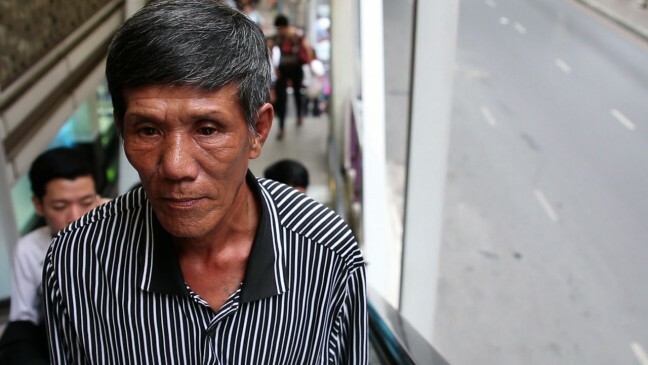 While the Vietnam War fades away from our collective memory, there remains a group of Vietnamese in Thailand who are still searching for home. They escaped Vietnam after the end of the war but were rejected by the countries where they sought asylum. When all the refugee camps in Southeast Asia were closed, instead of being repatriated back to Vietnam, the stateless refugees chose to stay in Thailand illegally, holding onto the hope of finding a new country one day. As the years passed, they continued to live on the fringes, dodging authorities and the law while holding onto hope and the will to survive. 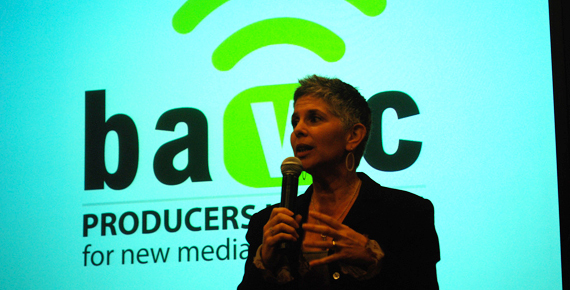 For more information about CAAM’s Documentary Fund, visit our Funding page. For past CAAM-funded projects, visit our CAAM Funded Projects page.